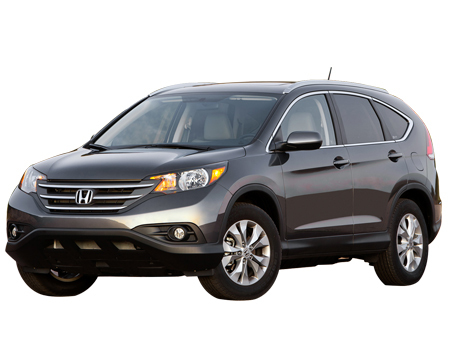 Dynamism explores sportiness with the pumped-up heir of the Japanese automaker Honda christened as Honda CR-V. The well talked about automobile is a compact crossover that is being produced by the company since 1995. The fourth generation of the car was unveiled for India in February 2013. Bold and detailed edges are blended in right proportions to fetch a robust look to the crossover. The car features an authoritative front look owing to the expressive chromed grille with horizontal slats and HID headlamps. The well tweaked front bumper of the car compliments the athletic crossover identity. Stylishness is displayed by the electric sunroof, the dazzling circular foglamps and the shark fin antenna. The car boasts a sporty and wide rear design and the side look emphasize on the spectacular 17-inch alloy wheels. The wide and robust design of the crossover is crafted upon the dimensions reading – 4545mm x 1820mm x 1685mm (L x W x H) and a stable wheelbase of 2620mm. What to opt for: The car displays competitive dynamic capabilities and the exterior parts (headlamps, windshield and bumper) should be insured. The accessories are also suggested to be insured. Comfort comes in a supportive sense to compliment the sporty crossover. The 17.7cm advanced Touch Screen display audio and navigation with the tilt adjustable steering adds to the driving convenience. The driver is offered with the 8-way adjustable ultra-comfortable seat and ergonomically-designed control panel. The large well-cushioned seats and the independent dual zone AC forms the comfort part of the car. The luxury is extended with the ample cargo volume of 589 litres. What to opt for: Considering the sophisticated interior features and the high end safety features (VSA, ABS, HAS, etc.) the driver cover can serve well and the owner may go for the passenger cover. The car is suggested to be considered for Invoice insurance. The car surely features all the dynamic capabilities required for an athletic crossover and faces a tough competition with the leading Toyota Fortuner. The car owing to its high overall price and the expensive parts cost should be considered for a total damage cover.